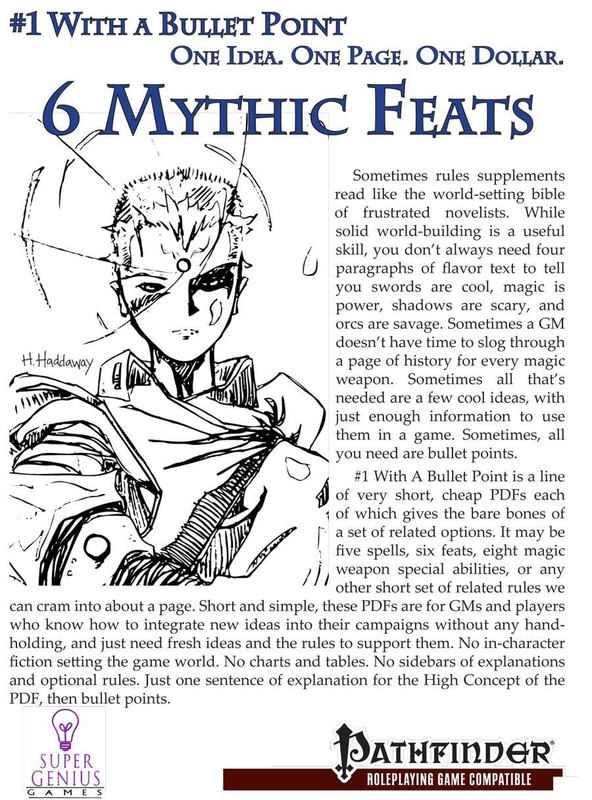 High Concept: Six feats to expand the ways mythic characters can focus themselves with feats, without just adding mythic versions of existing feats. Harder to Kill (Mythic): Your mythic energy keeps you alive despite extraordinary damage to your system. Improved Mythic Surge (Mythic): Your mythic power is better able to help you overcome challenges. Mythic Empowerment (Mythic): Your mythic powers are strongly focused. Mythic Focus (Mythic): You have extra reserves of mythic power for one specific sort of mythic ability. Mythic Resistance (Mythic): Even mythic attacks do not always affect you. Mythic Restoration: You can use mythic power to restore your nonmythic abilities.